As you should all know by now, I am a HUGE fan of Total Greek Yoghurt, having grown up in Cyprus! 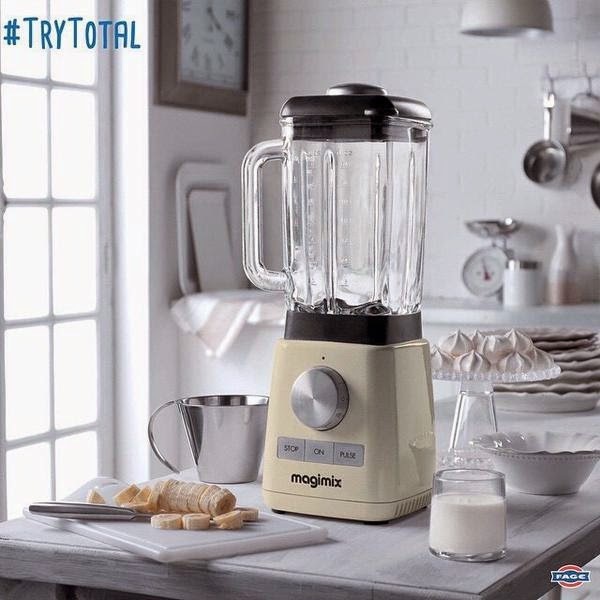 So I was so excited to be challenged by them to take part in the #TryTotal competition and create some recipes for 'Dig My Desserts'! 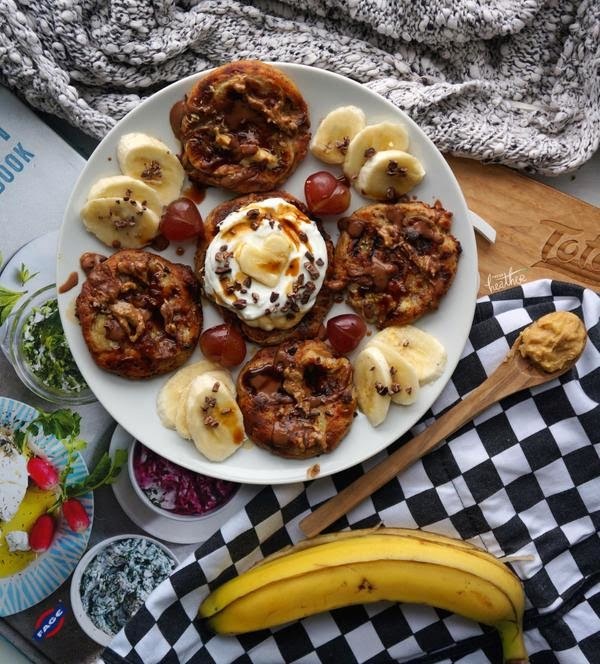 In the #TryTotal comp, you can win daily, weekly, monthly and one over all prize just by sharing your Total + recipes on social media! And anyone can enter! Scroll to the end of this post for more details on the competition. 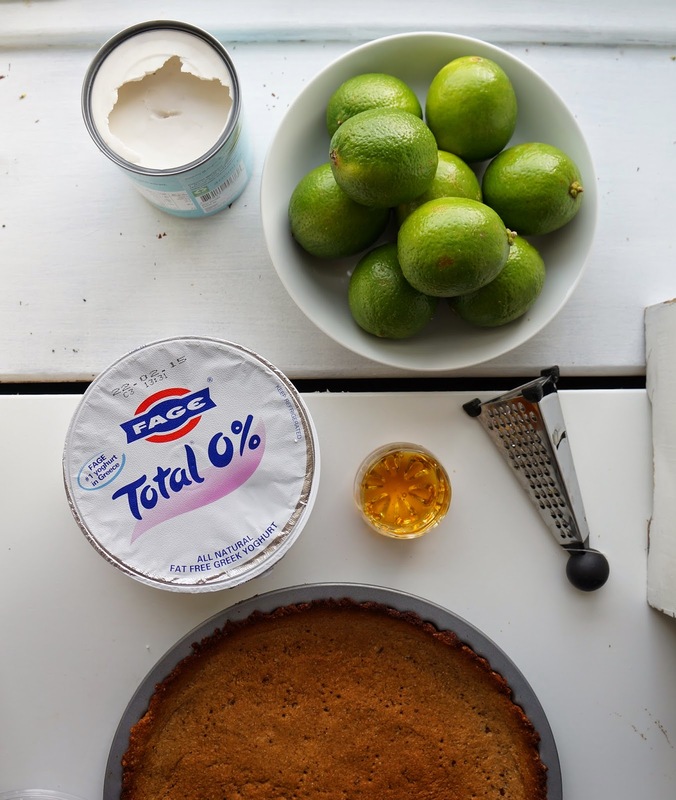 Total is such a great addition to desserts as it is a great way to reduce the fat, sugar and calorie content without impacting taste and texture! *I use Coconut Merchant for all coconut products - if you can't get your hands on coconut butter, coconut oil will also work. 1. Combine coconut flour + ground pecans + a tiny bit of fresh vanilla. 2. Mix in coconut butter or oil + coconut syrup. Stir with a spoon then rub all the ingredients together (as you would with regular pastry) until you get a dough consistency. 3. 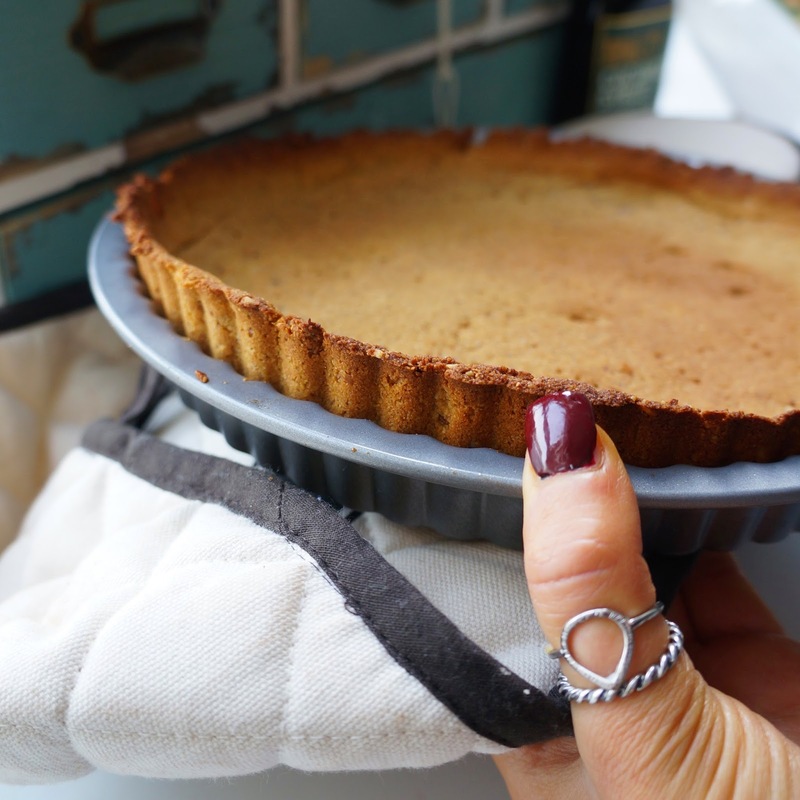 Press into a greased pie tin (I used coconut oil to grease), pressing up around the sides, and bake at 175C/350F for 5-8 mins (keep your eyes on it...it doesn't need long)! It will harden as it cools. 1. Pour the chia seeds into a dish and cover with cold water... whisk until the gel forms. 2. 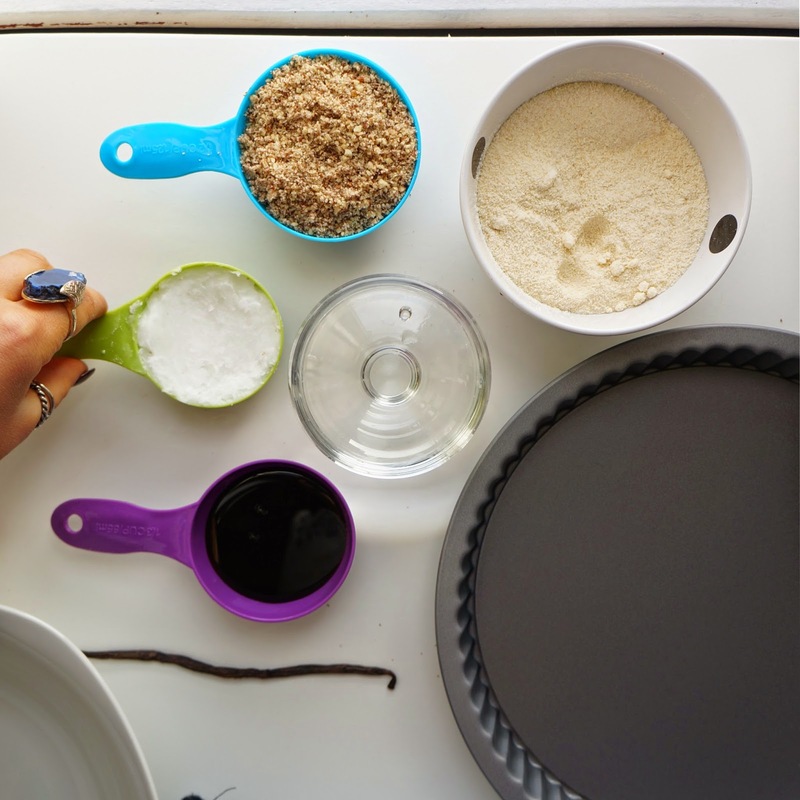 Whisk ingredients together (you can do this in a food processor or blender if they have these settings). 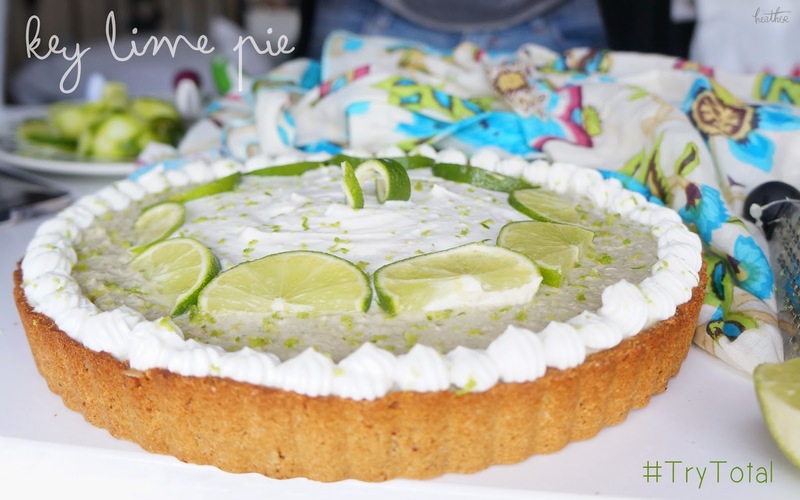 TASTE AS YOU GO ALONG, you want a perfect balance between the sweet and zesty so add more zest or sweetener as needed. 3. Place the mixture in the freezer for around an hour, mixing half way through. If your mixture isn't thick enough, mix in more oats as needed - these will thicken up the mixture without altering the taste. 4. Fill the case with the mixture. 5. 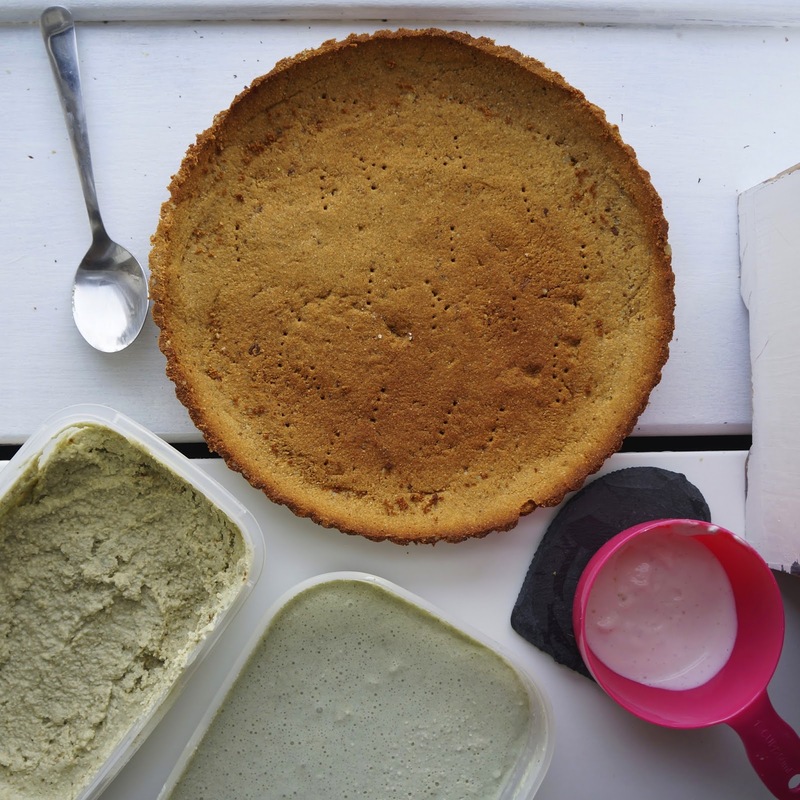 Spread more greek yoghurt in the centre of the pie and pipe around the edge. 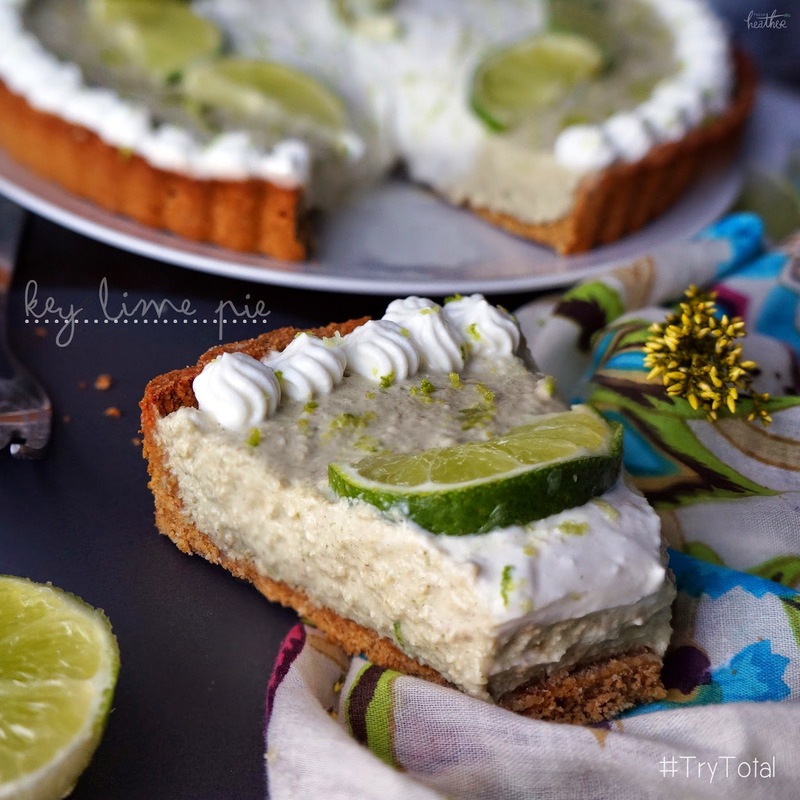 Decorate with lime zest. 6. Store in the fridge for up to 3 days. Banoffee Parfait with a Chocolate Shell Topping! This was my second #TryTotal creation! Total + 3 - dates + banana + coconut sugar. For the date caramel: soak 2 medjool dates in boiling water for a couple of minutes, drain (but keep the water), mash then and slowly add some of the water back in until you get a caramelly consistency. Layer it up: 75g yoghurt // banana, sliced // date caramel // coconut sugar yoghurt. For chocolate magic shell topping: combine 1.5tsp melted coconut oil with 1tsp cacao powder, mix until combined. Drizzle over parfait; it should harden within 10 seconds. 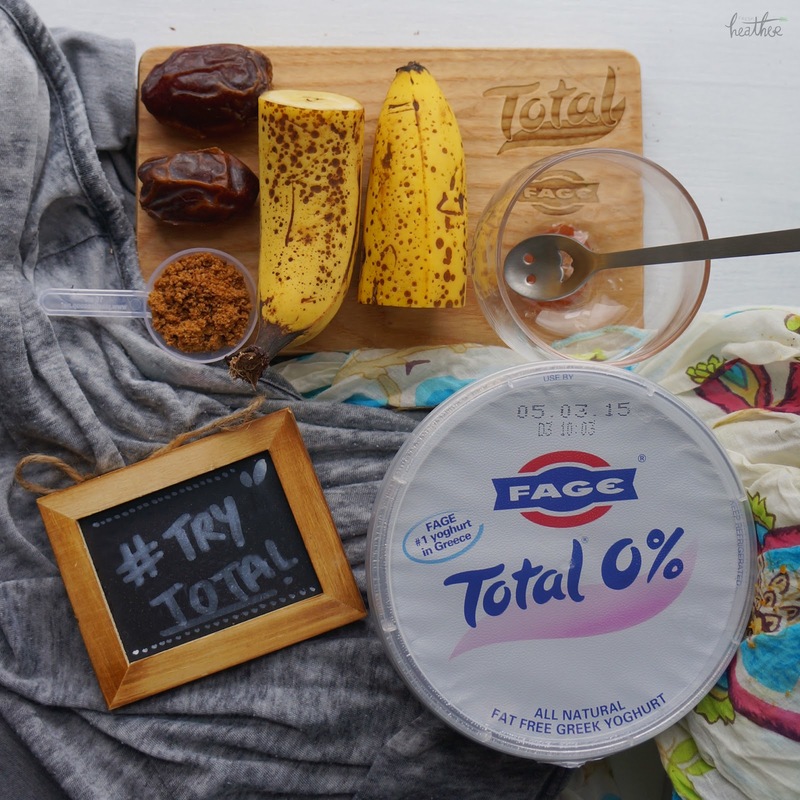 As I mentioned before, I was challenged by Fage UK / Total Greek Yoghurt to Dig My Desserts this week for their #TryTotal competition. 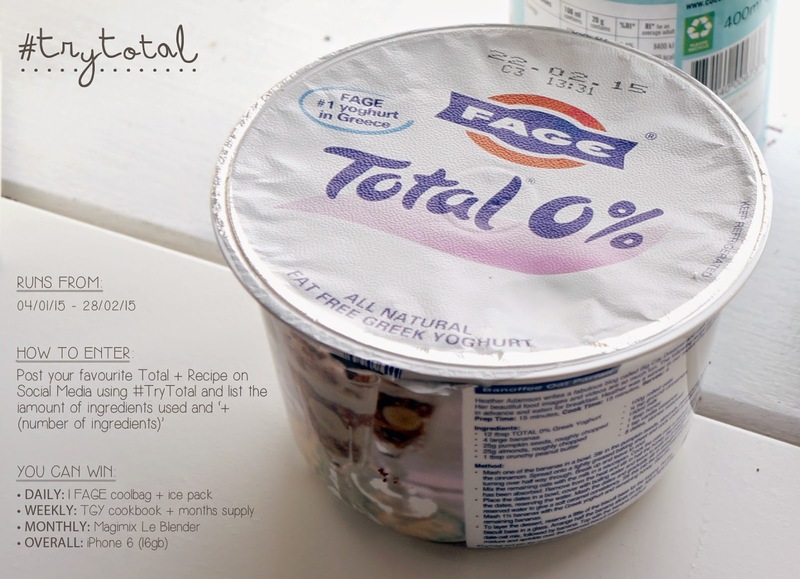 The #TryTotal comp involves posting your favourite Total Greek Yoghurt recipes on social media in the format of "Total + (number of recipes): ingredients". 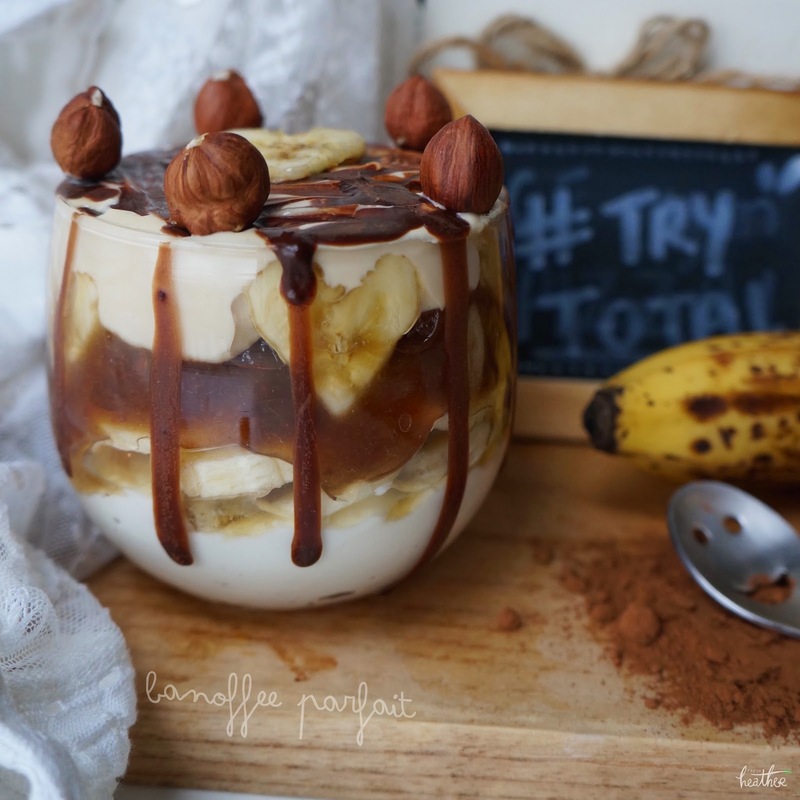 For example: "Banoffee Parfait - Total+ 3: banana, coconut sugar + medjool dates" - just be sure to include the #TryTotal hashtag and you're good to go! More info on the comp detail, terms and conditions and prizes here!